Let your inner adventurer out with a Baja Adventurer style experience. 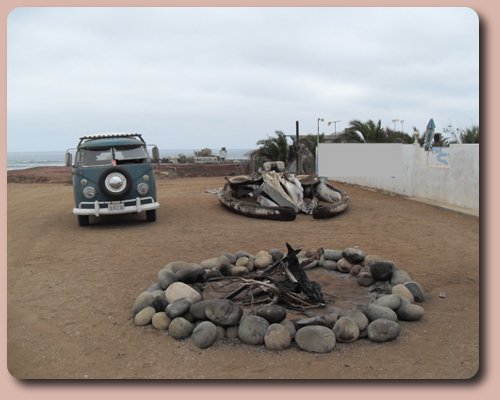 If truly getting off the Baja beaten path is more than just a cliche to you then this is your style. We'll take our time and ease down the road to seldom-visited areas, do some driving down dirt tracks to small villages and enjoy the real Baja Califonia Mexico. Of course, along the way we'll be eco-friendly as possible by offsetting the vehicles carbon emissions. On the journey we'll experience nature, nightlife and stay in some Baja hostels/hotels, as well as do some low-impact tent camping. The Baja Adventurer Style consists of 1 or 2 RWD/AWD self-contained VW campers that carry our kayaks, bikes, supplies and a small group of 6-12 good people in comfort. The Treks begin and end at the Baja border, with possible pre-arranged pickups in other Baja areas for our friends already in Mexico.